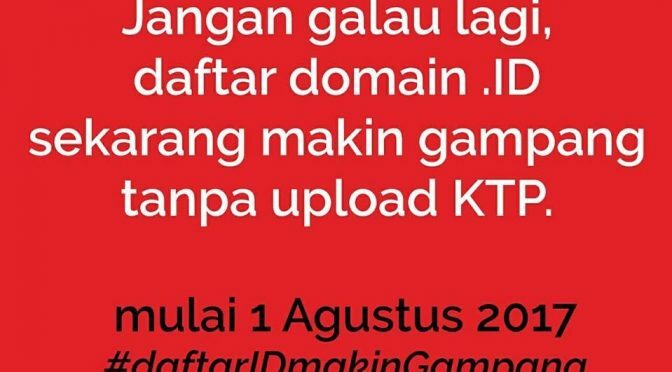 Starting August 1st 2017, .id domain registration don’t require ID Card anymore. For years, .id domain registration have complicated requirement. Sometime it cause registration delayed because requirement documents need to be uploaded.